For a wine aficionado, there’s nothing quite like having your favorite wines ready for you whenever the mood strikes. But for many, there’s one big problem that haunts them: space. Where do you store your wines? Do you tear apart your basement so you can build a proper wine cellar? Hold on, there’s an easier option: a wine cooler. 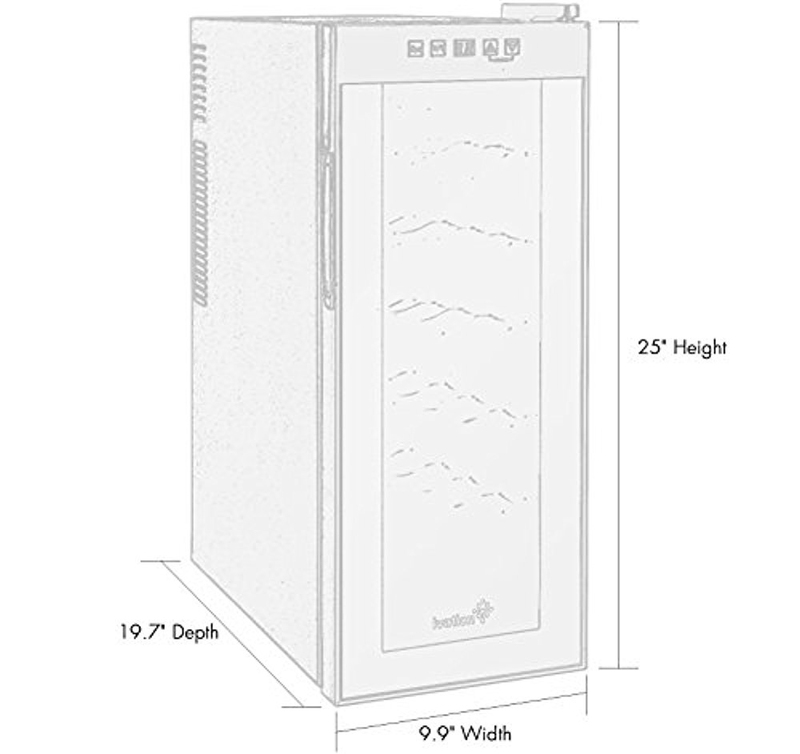 This is basically a small fridge that’s designed specifically for your wines. One version worth checking out is the Ivation 12 Bottle Thermoelectric Red and White Wine Cooler. The Ivation 12 Bottle Thermoelectric Wine Cooler offers a sleek design. It features an exterior digital display with touch controls, along with soft interior lighting. It also comes with five slide-out metal shelves. As its name suggests, the Ivation 12 Bottle Thermoelectric Wine Cooler can store up to 12 bottles of wine. For an additional cost, you can also purchase an 18-bottle version of the same cooler, with the same features. 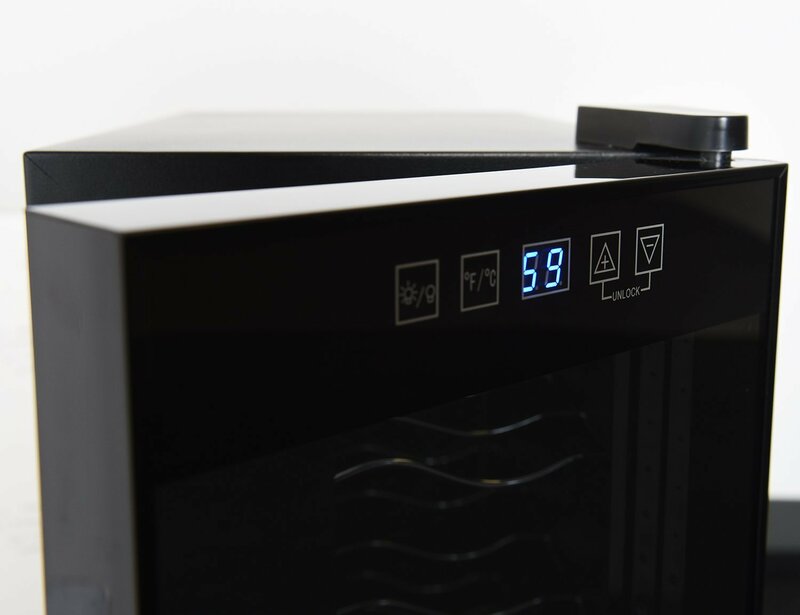 This wine cooler keeps a consistent and stable temperature. Using the digital display on the outside of the cooler, you can customize the temperature based on your needs. The cooler carries a 50-64 degrees Fahrenheit temp (10-18 degrees Celsius). It maintains humidity with its polyurethane heavy foam insulation and Thermopane doors. This keeps the cork from drying out and maintains an odor-free interior. It also blocks out sunlight and UV rays that might otherwise break down complex molecules in aged wines. You can also control the humidity manually. A good wine needs to breathe so it can age, but not too much. With the ability to keep the humidity level right where you want it, you can age your wines perfectly. The interior lighting is soft and doesn’t have a glare, and you can easily turn it on or off with the press of a button. This unit runs at 65 watts. It is built with an energy-efficient thermoelectric cooling system that lacks a compressor. Thermoelectric devices use electricity to cool the environment (in this case, the inside of the cooler). When current passes through, one side of the device (called a Peltier device) becomes cooler than the other. In this case, the unit is pulling the hot air out and holding the cool air inside the cooler. Thermoelectric units also minimize vibrations and extra noise, which could disturb your wines’ aging process (and yours, too). Vibrations could disturb the sediments that are settled at the bottom of the wine bottle as it ages. With those vibrations eliminated, the wine can age perfectly, just the way you want it to. And as an added bonus, you won’t have to listen to the noise. The Ivation 12 Bottle Thermoelectric Wine Cooler measures 9.9” x 19.7” x 25”. It weighs about 30 pounds. Due to its convenient size and sleek design, it can be used as a stand-alone unit on the floor or up on a countertop. The one drawback might be that the temperature range may not be ideal for crisp white wines. It’s perfect for red wines, though, so you simply need to ask yourself if you mind keeping white wines at 50-64 degrees. If not, then it’s still perfect. 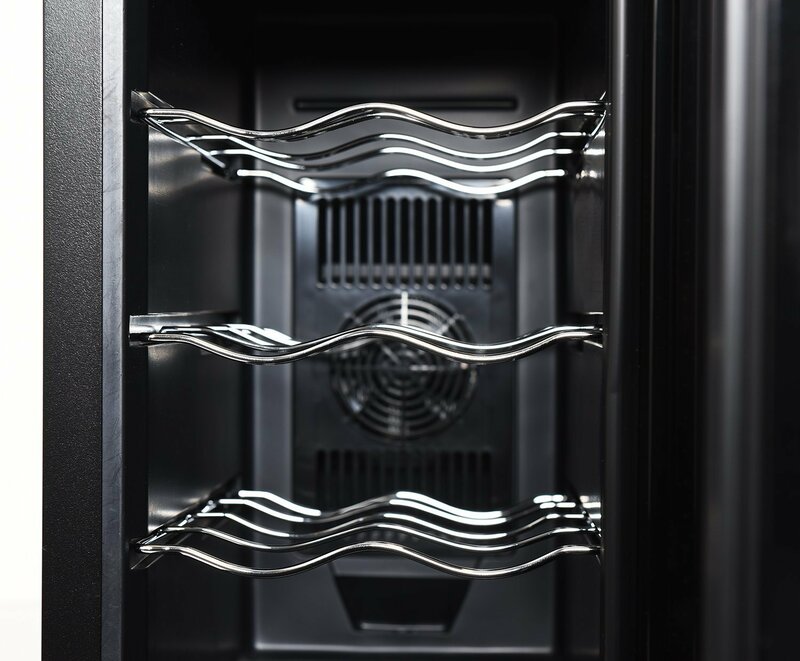 You might also consider the fact that this wine cooler is a single-zone chiller. This means you will not be able to store both red and white wines together. You’ll have to play favorites – for a given night anyway. One more drawback is that you need to store the unit inside your home. Placing it in a garage will cause it to run more often than it would inside your house, due to temperature variations. This goes for many thermoelectric units though. If your home is very small (or crowded), you may need to make room for it. Not much room, though – it is pretty compact. Placing wine in a refrigerator is never recommended, because the temperature is usually too cold. And you don’t want to leave your wine out – unless you enjoy room-temperature or lukewarm wine. Building a home-made wine cellar can be expensive, and messy. Clearly, purchasing a wine cooler is your best option. 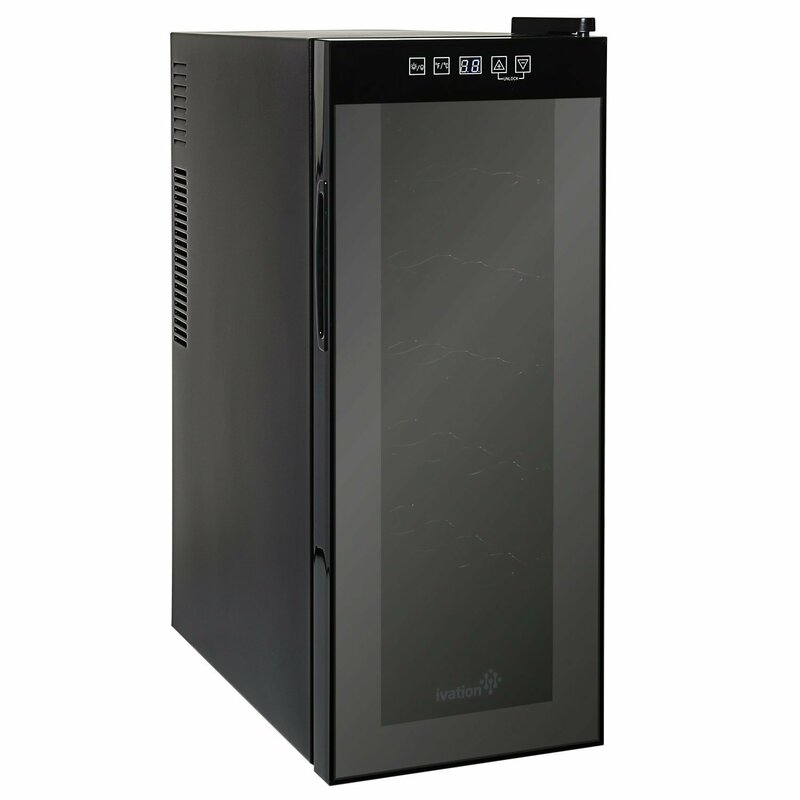 And the Ivation 12 Bottle Thermoelectric Red and White Wine Cooler provides very good value.